A couple of years back I took a morning walk along Wilshire Blvd through Beverly Hills and the Miracle Mile district of Los Angeles. 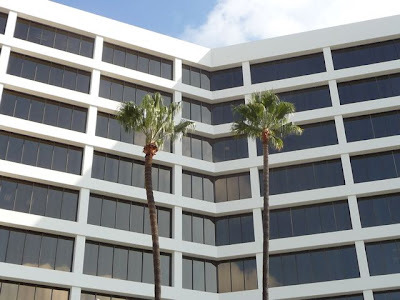 Here's a link to Part I from last week (Wilshire and Santa Monica Boulevards to Wilshire and Doheny Drive). Looking off of Wilshire are beautiful tree lined residential streets. 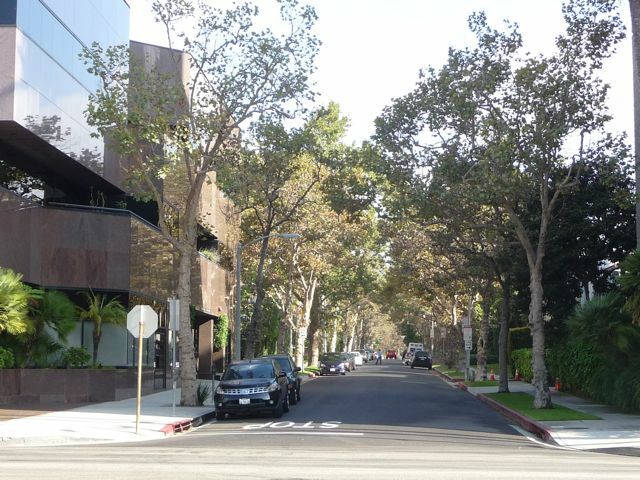 This is looking north up Almont Drive, with small apartment buildings for several blocks. The courtyard of a three story office building: Wilshire and La Peer Drive. Looking back down Wilshire - west towards the "downtown" business district which I walked through in Part I. 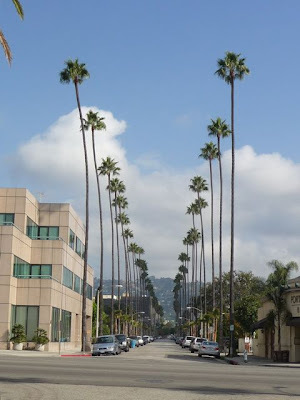 A few blocks up, looking the other way at Wilshire and Amaz Drive: east towards the city limits of Beverly Hills, less than a mile way - with the office buildings of the Miracle Mile district in the distance. Wilshire Blvd and Hamel Drive, looking north towards the city of West Hollywood. The Hollywood Hills are in the distance. 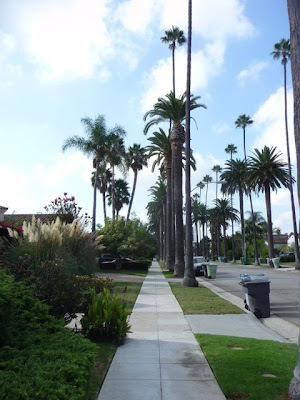 Walking a couple more blocks east along Wilshire Blvd, I decided to take a quick detour into one of the small residental neighborhoods south of Wilshire. 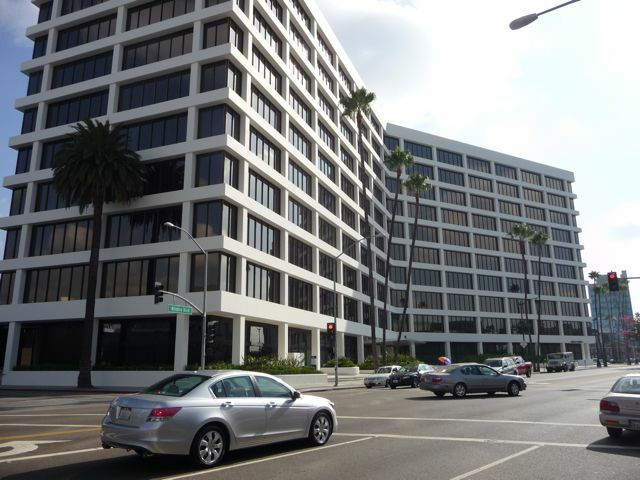 This is Carson Road, just a block south of Wilshire. The palm trees look . . well . . . fabulous. 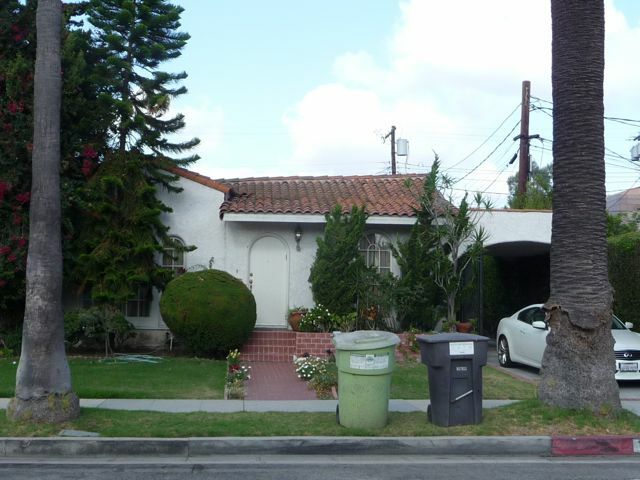 Unlike the massive homes north of Wilshire (or the massive estates north of Sunset Blvd) the homes here are relatively modest. Another home. My apologies: it was the neighborhood "trash day" - not intentional. 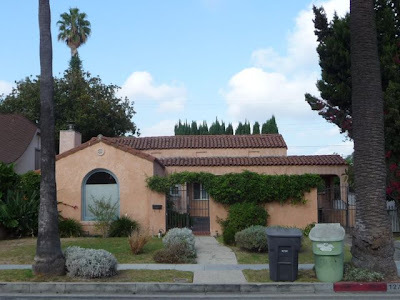 Our good friends at Zillow have homes on Carson Road listed between $800K-$1.2million dollars. 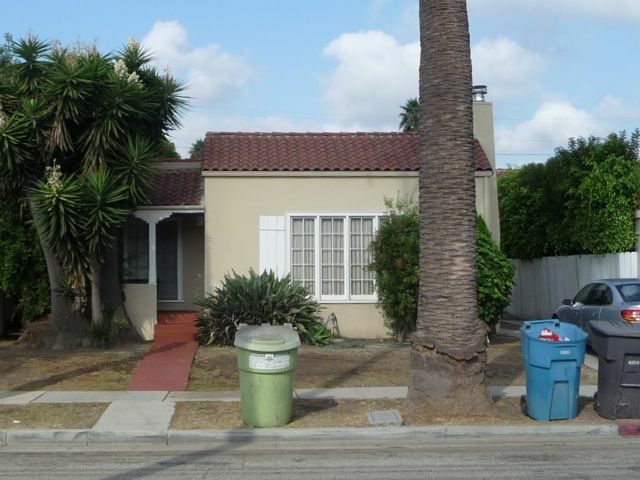 A random check of a 1700 square foot 2 bedroom, 2 bath home on this street has it appraised at $1million dollars. While these may not be the mansions you imagine when you think of Beverly Hills - this is still Beverly Hills. Here's a ariel view (from maps.google.com). 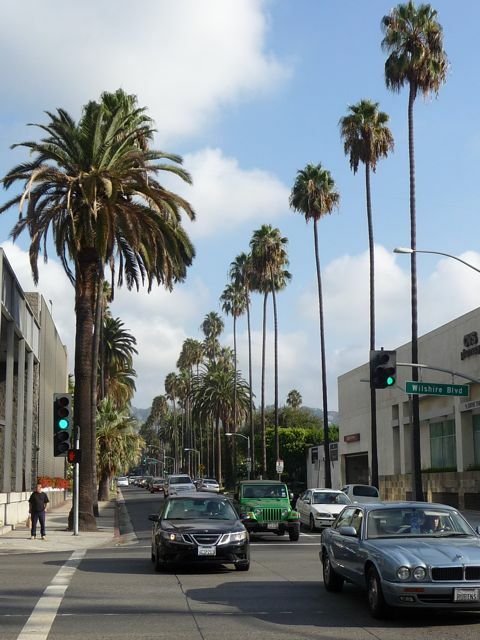 What I think is most interesting about Beverly Hills is the massive Persian and Jewish communities. 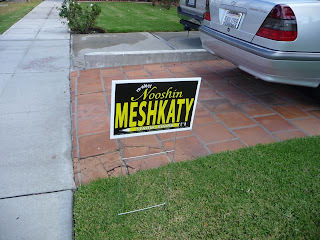 This was a few weeks before an election, with Nooshin Meshkaty (Persian-American) running for the Beverly Hills School Board. Unlike what most Americans imagine from such mythical shows as "90210" - 25% of the population of Beverly Hills is Persian-American, including their two term mayor Jimmy Delshad. Here's a link to my previous blog post on the Persian community in Los Angeles. And Jewish. Beverly Hills is very Jewish. I wasn't able to land on any statistics, except that that by the 1960's 90% of Beverly Hills High School was Jewish. Apparently that's changed with the huge influx of Persian students. 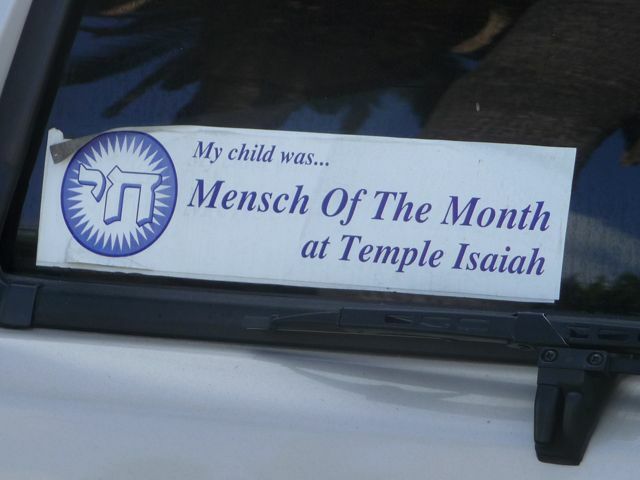 At any rate, gotta love the "My child was Mensch of the Month" bumper sticker. Here's a link to my previous blog post of what a "mensch" is (I had to look it up) and the Pico-Robertson neighborhood, located about a mile south of here. 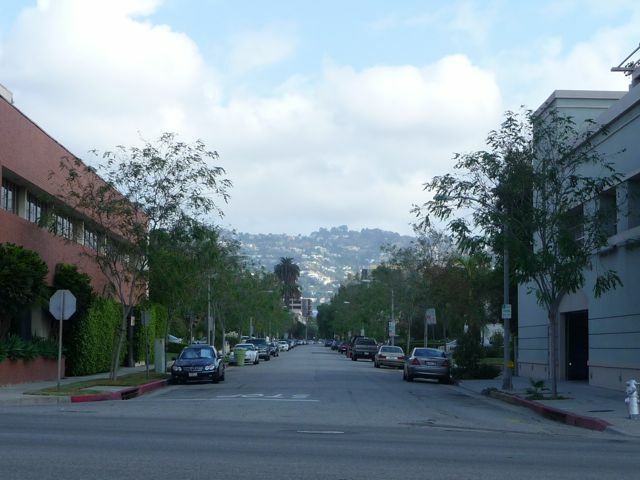 Back Wilshire, looking up Carson Road north of Wilshire - another view of the Hollywood Hills. 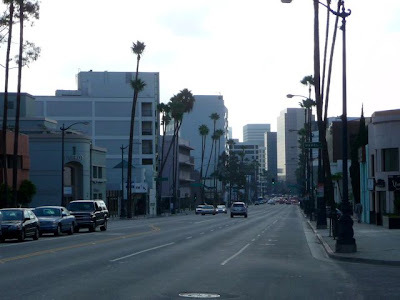 To me, this one image says "Los Angeles." The corner of Wilshire and La Cienega. Turn left here to get to the Beverly Center (and - thanks to some pictures from a previous trip there - a topic for a future blog post). 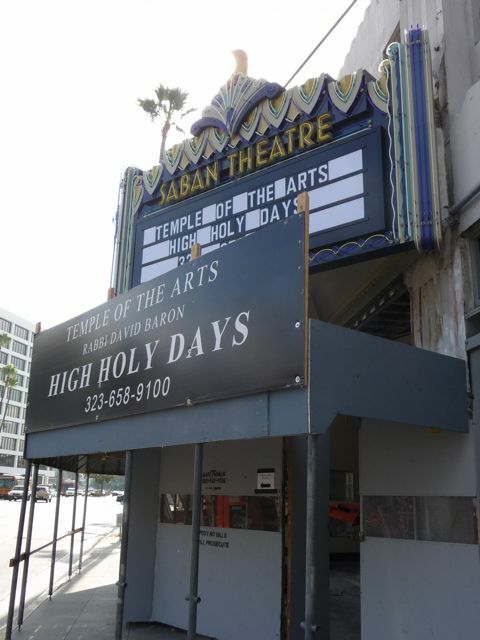 The Dolly Saken School of the Arts - on the corner of Wilshire and Hamilton Drive, run by a Jewish foundation for the Arts. Our kids were in a homeschool drama class when we lived in Los Angeles. Really good experience. 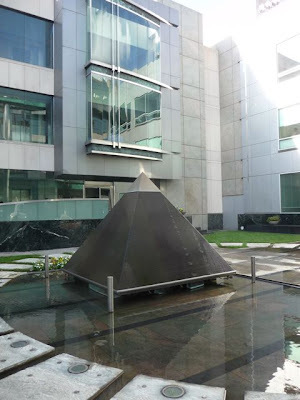 Here's a link to a previous blog post on our time there. Looks like the name changed to "Temple of the Arts" since our involvement a few years back. And a contact number for the upcoming High Holy Days. 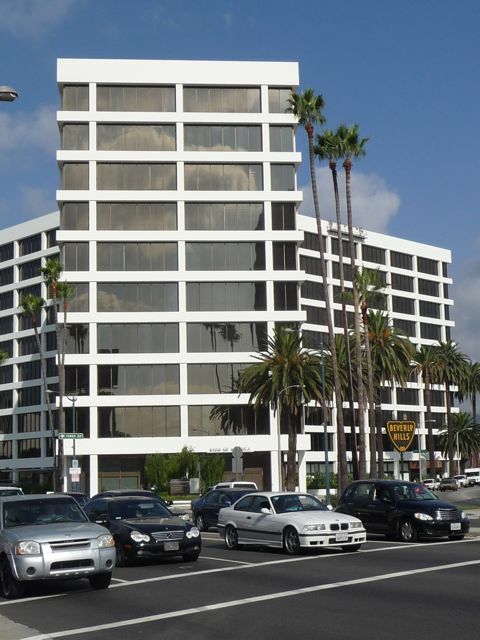 Office building on the corner of Wilshire and San Vincente - at the eastern most edge of Beverly Hills. 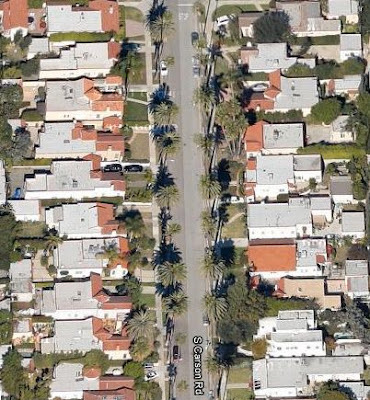 What's confusing - very confusing - is that there are two totally unrelated "San Vincente" Blvds in Los Angeles. One that starts at the Pacific Ocean, going through Santa Monica and Brentwood. 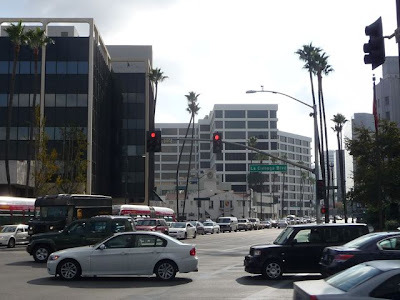 And the second one here starts at Venice Blvd and travels northwest to Sunset Blvd through the cities of Los Angeles, Beverly Hills and West Hollywood. 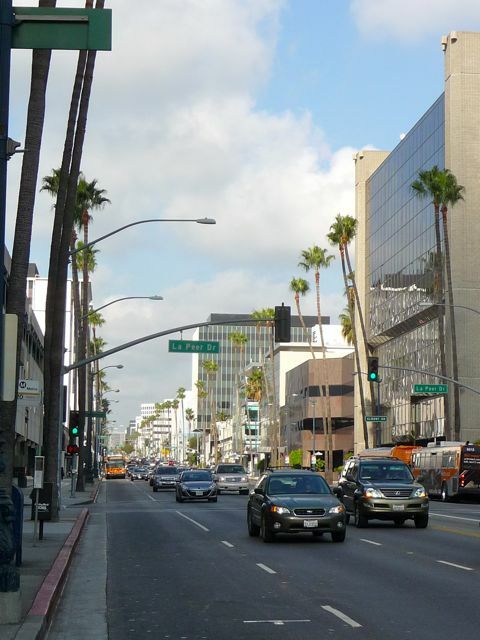 The only thing these two major streets - both in the same city - have in common is the name. And, yes, it's totally confusing. What's special about this building on the corner of Wilshire and San Vincente is that I had a summer job here back in 1983, the summer before my last year at UCLA. 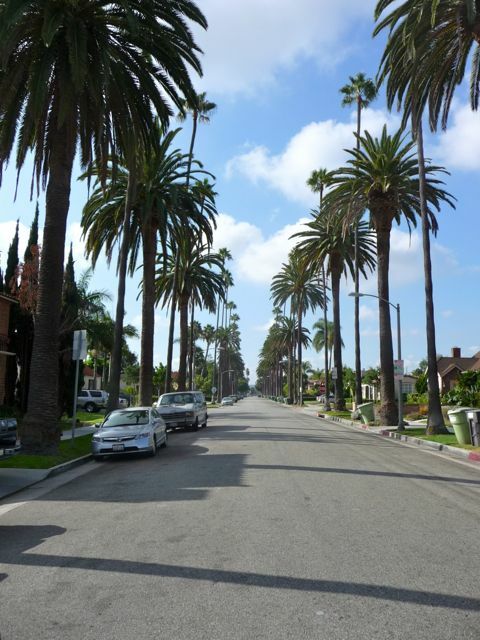 I was living in my fraternity, and drove my motorcycle along Wilshire Blvd to work every day. Good times. It was just a low paying "summer office help" kind of job - I think I was making $4 a hour (which was close to minimum wage at the time). 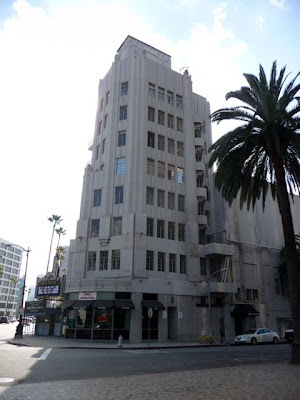 On to the third and final installment in Part III of "Wilshire Blvd" next week.